Stephen Brayda is a Senior Designer for Riverhead Books. 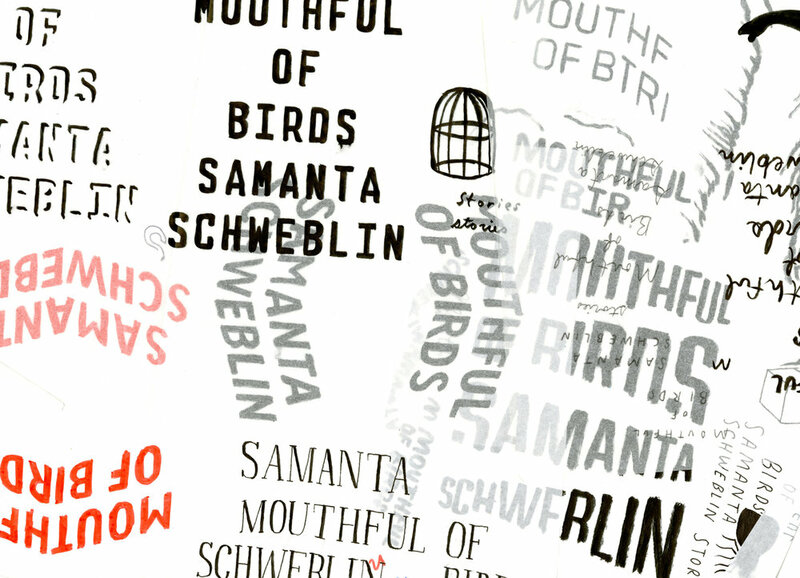 Here he talks us through creating the stunning cover for Samanta Schweblin’s Mouthful of Birds. Packaging Samanta Schweblin’s newest collection of short stories proved to be an all-consuming adventure like the stories themselves. They are short (some just two pages long) but packed full of evocative and haunting imagery - more than some full-length novels. Schweblin has mastered the formula for captivating storytelling and I quickly got caught up in the ride. 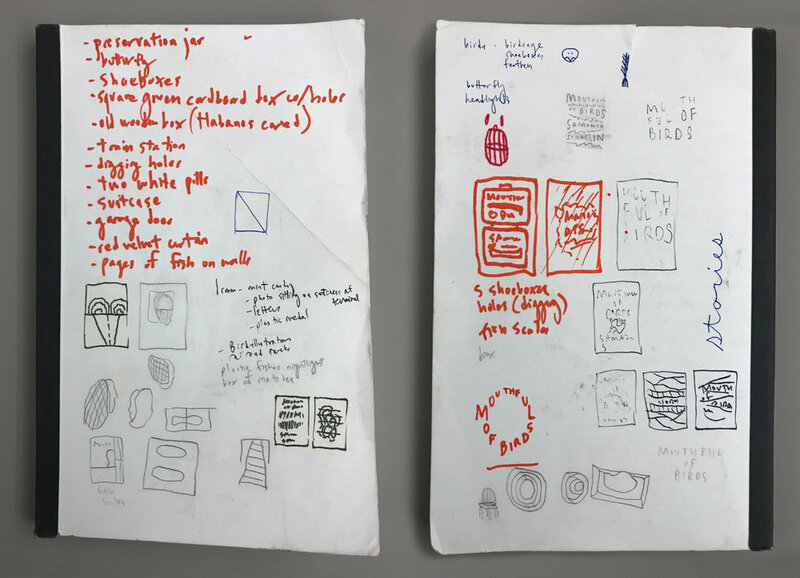 As with all books I work on, I began with sketching and taking notes as I read, focusing on specific imagery that functions as visual identity. The trick became pinpointing which visual(s) best summarized the entire collection as a whole. A huge percentage of sketches and designs don’t translate well from brain-sketch-screen, but the process is the only way I’m able to know what has potential. My Art Director Helen Yentus was crucial in steering this ship in the right direction; I came to her with many weeks’ worth of ideas and rough comps, and spent hours exploring together which moves to take. I dove in deep experimenting - cutting, collaging, scanning, illustrating, sifting through the countless ways this cover could come to life. We kept coming back to a scene from Butterflies, a particularly short but chilling story from the collection. A swarm of butterflies can turn an otherwise beautiful scene into madness. I came across a photo by photographer Masaaki Miyazawa that perfectly captured this contrast. The icing on this project came in production. I worked very closely with our pre-press department as we decided to print at a 300 line screen (unlike the standard 175-200) to produce more density and detail without plugging up the color. This helped create a rich and bright palette in 4-color: a feature the photo has on screen that we needed to replicate in print. The soft-touch lamination also creates a tactile illusion, as if you are touching the butterfly wings themselves as you read. Late nights and early mornings turned out to be the best times to fall headfirst into Schweblin’s eerie world. Reading and re-reading, rocking my daughter to sleep, and praying she won’t ever decide to eat birds for breakfast.